Wood is still the premium product for floors: its natural appearance and grain provide beauty and elegance to a room in properties old and new. Solid wooden floors are the most durable of floor surfaces. Properly maintained, they can last for decades and, in some cases, centuries. Respectful of tradition, wood floor products continue to be developed and improved. Today’s manufacturers offer new ranges with better quality finishes and superior construction techniques. The choice is wide: you are not restricted to the traditional timber of red and white oak, pine, maple and ash; an exciting range of exotic hardwoods is now available. Floors vary in not only the kind of timber but in the way they are installed. mallet to attach the flooring to the subfloor. Floors composed of solid strips or planks can only be installed on wooden sub-floors or on batons. Glue Down - suitable for parquet and engineered wood floors. A layer of glue is spread over the flooring which is then is laid onto the sub floor. gluing its tongues and grooves. There are two basic types: solid wooden floors and the cheaper alternatives of ply and veneer. In prefinished or unfinished styles, these are constructed from solid pieces of wood with tongue and groove sides. They have to be nailed down. As a natural product sensitive to moisture, they are not suitable for installation below ground level, or directly over a concrete slab. Wood is a natural product that reacts to the passage of the seasons. Gaps in the floor tend to appear in the winter as the floor contracts from the drying effect of indoor heating. In the summer, the natural higher humidity enables the wood to expand – making the gaps disappear. Excess moisture can cause planks to buckle or cup. It is vital to allow timber to acclimatise before being installed. During installation, a solid strip floor must be allowed scope to expand around its perimeter. glued together or with a click system. tongue and groove. Another softer wood ply is attached underneath. The top ply is glued on top. This can be constructed from almost any species of hardwood – resulting in a floor with the appearance of solid wood. Wood expands in a certain direction. Moisture causes solid wood planks to expand across their width, rather than down the length of the boards. To avoid this problem, engineered planks have cross-ply construction in which each ply lies in the opposite direction from the others. As every layer counteracts the expansion effect, the planks stay stable – and are not affected by changes in humidity. photographic image). A veneer floor uses a thin piece - around 0.7mm - of real hardwood. The total thickness is usually around 8mm. Veneer floors are easy to install - and quickly give you a hardwood floor. Laying a new hardwood floor is a skilled and expensive job. Over and above the installation of the boards, several coats of stains (if required) and sealant will need to be applied. UV-cured - factory finishes cured with ultra violet light. Polyurethane - a clear and durable finish that is applied as a wear-resistant layer. Acrylic-urethane - offers the same benefits as polyurethane. Aluminium oxide - added to the urethane finish. It increases abrasion resistance and is becoming extremely popular on the better grades of wood floors. Acrylic impregnated – the wood is strengthened by injecting acrylic monomers into its cell structures. The floor is finished with a surface wear layer over the wood. A prefinished floor is quick and easy to install. The job can be done in a day compared to the several days required to lay and finish a new hardwood floor from scratch. For the ultimate personalised floor, you start with a bare hardwood floor that is sanded, stained and finished in the home. A labour intensive job - and one that gives the highest quality results. Replacing the old floor and installing a new one is a major – and expensive – job. Explore the potential of restoration: floor sanding and finishing your existing floor can give just as good a result – at much lower cost. 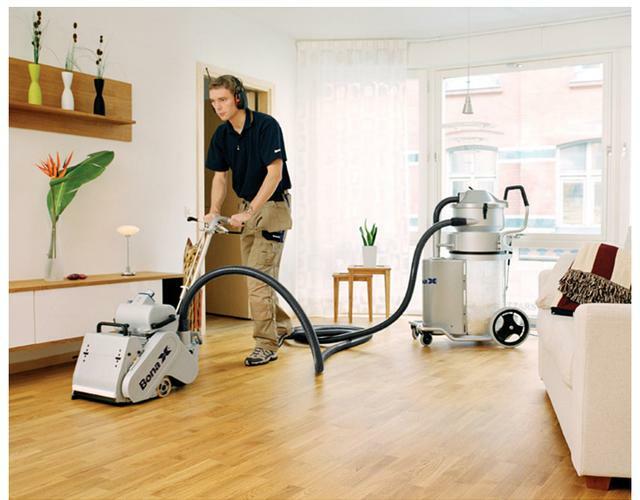 Indeed, you can enjoy the benefits of a floor that may be superior to the original – given the vast improvement in sanding techniques and finishing products. So find out how we can transform your old floor. Ask us today for your free assessment. 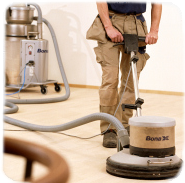 Our Floor Sanding Company covers all London postcodes within M25.